*Below is a framework for a document that could be provided to support/customer as a brief guide for basic administration of their storage system. 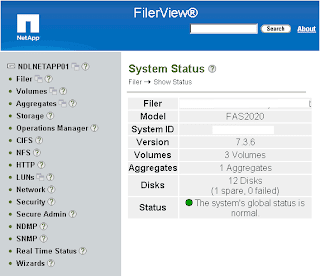 Then click on FilerView to access the FilerView GUI for to configure and monitor your filer. 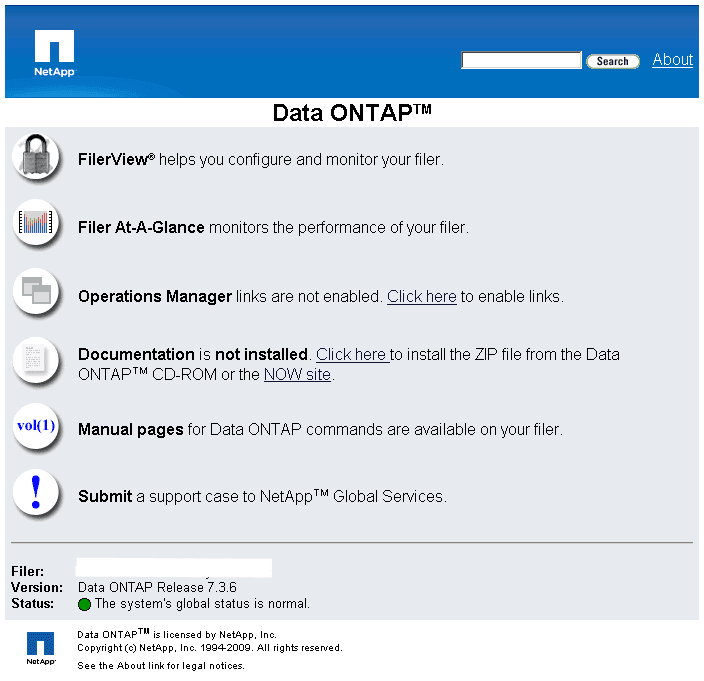 OnCommand System Manager can be downloaded from http://support.netapp.com/NOW/cgi-bin/software/ for Windows and Linux platforms. 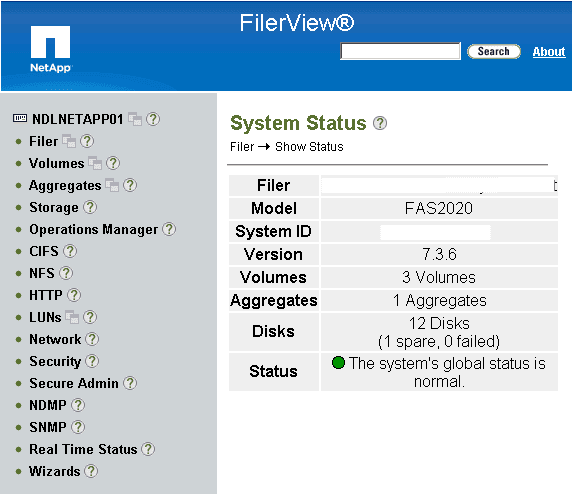 Current latest version as of writing (13th March 2012) is 2.0R1. From the downloaded sysmgr-setup-2.-0R1-win.exe the installation is straightforward. This will open up the default internet browser and present the OCSM Home Screen. FILER_NAME has already been added. Use an SSH client (e.g. PuTTY or similar) or Telnet Client (e.g. PuTTY, Windows DOS prompt, …) to access the Data ONTAP CLI. 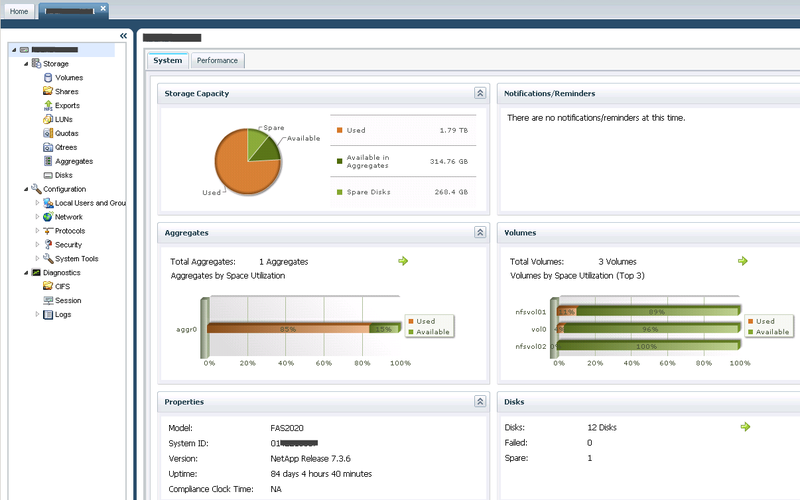 The storage is mounted to the ESXi hosts using the vSphere Client GUI and this is done for each host and each NFS volume in turn. 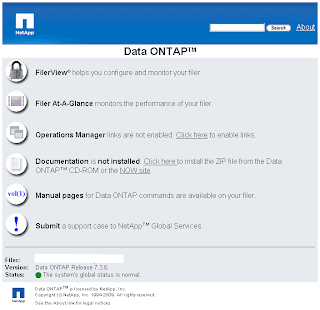 The NetApp Virtual Storage Console can be downloaded from http://support.netapp.com/NOW/cgi-bin/software/ and is installed on the vCenter server. From the downloaded exe the installation is straightforward. 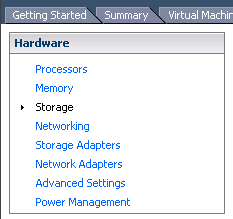 The VSC places a NetApp tab in the vSphere Client GUI.